“What are the lessons people most often learn too late in life?” — a question that hits thousands of people on Quora. Guess what’s topped the list? Following the convention is said to be one of the things people regret the most later in their lives. You may be surprised: isn’t following the convention a quality of a good citizen, the quality of being a good sheep? The brutal truth is, however, following the convention is an obstacle on your path to success. It leads you to nowhere but mediocrity. The old rules only yield mediocrity. The cruel reality is that only very few of us would enjoy the taste of success. The others, no. This echoes the 80/20 law proposed by the Italian economist Vilfredo Pareto. An example illustrating this law is that 80% of the wealth in a society is enjoyed by only 20% of the population. The gist of this theory is that only the minority, or the elite, will succeed. And the other 80% of people will remain at the average level. Given the convention is set by the majority of people, following the convention is mimicking what the majority is doing. This, unfortunately, leads most people to mediocrity where they settle down and stay in their comfort zone. If you are unsatisfied with your current position and want to ignites changes in your life, don’t be afraid to break some rules, and don’t be afraid to do something everyone else avoids doing. But breaking the rules is never easy. It could build enemies. Very likely, the one who defies the convention will be considered as the outcast by the majority. After all, humans are what the scientists call as the social animals, among which the one who does not comply with the norm is classified as the abnormal ones. Sometimes, being unconventional could exert your full potential. The famous business magnate Bill Gates was originally a Harvard University student back in the day. However, because he wanted to start a business, he dropped out of one of the most prestigious and highly-ranked schools in the world. After getting admitted to one of the top colleges and decided to quit as a young kid, most people saw Bill Gates’ action foolish. But eventually, he proved others wrong and pursued an amazing career and founded Microsoft, one of the leading tech companies. 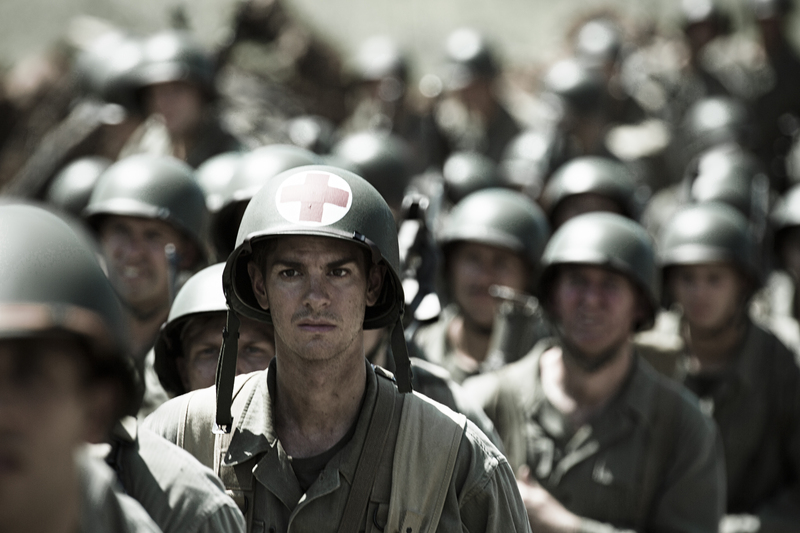 If you watched the movie Hacksaw Ridge (hang on spoiler ahead! ), you’d understand that breaking the rules would mean people going against you. But when you stay true to yourself, instead of blindly following the rules, you’ll always experience something different from the crowd. Unquestionably, punting against the counter-current is a daunting journey, yet it is also a rewarding one as you are setting your foot on a new path as a pioneer. Let your voice soar anyway. We all have a voice inside telling us what is the right thing to do. If you catch that voice, be it tiny or not, do not forsake it. Think about it – you have things you want to achieve, but often society or others tell us otherwise. We are not listening to our voices, which makes us miss out on great things that we could have accomplished. One of the most highly regarded poets and novelists of all time Rudyard Kipling was told by an editor that he did not know how to use the English language. This comment did not stop him from pursuing a career in writing though, he knew what his strengths were and later he produced amazing literary works that are still very well-known this day. Or take Michael Jordan as an example. He was considered too short to play at his high school basketball team, but with his passion for sports, he was very determined to be a great player. After practicing for a year, he was admitted to the team and that’s how his professional athletic career began. Sometimes, we are too afraid to go with our guts, because we are scared to bear the consequences or face failures. At the end of the day, the only person who is responsible for yourself is you, not others. And you will badly regret the things you did not do far more than the things you did that were wrong. Which one you would like to choose? And that makes all the difference when you look back at the end of your life. So there are two roads stretching before you now, the one most people take, and the one no one dares to travel.